STORM LAKE, Iowa — In 1991, Manuel Arceo emigrated to the United States, finally settling three years later in the small Washington state city of Chehalis. There, he parlayed his cooking skills into Plaza Jalisco, a restaurant he named after his native state in Mexico. A quarter-century later, Arceo and several of his brothers are the owners of 14 restaurants in three states — including an improbable five here in Iowa. Against the toxic U.S. debate around Hispanic immigrants, the Arceos' story illustrates a lesser-told dimension of the decades-long Mexican influx into the country — a familiar tale of pluck aligning with bedrock American tradition. "There's a lot of business for everybody," says Efreen Arceo, one of Manuel's eight brothers, who manages Plaza Mexico, the family's outlet in Storm Lake. What's happening: Until around 1980, Storm Lake, a city in northwest Iowa, was, like the rest of the state, almost entirely white. But then a first wave of immigrants arrived — Tai Dams, an ethnic minority from Vietnam and Laos. Many of the adults went to work at local pork and turkey slaughtering houses, Art Cullen, the Pulitzer Prize-winning editor of the local paper, tells in his lyrically crafted book, "Storm Lake." Today, about 54% of Storm Lake's approximately 15,000 people are immigrants, mostly Hispanic. They have swelled the local population, going the opposite direction from the rest of the state, in which 71 of 99 counties have lost residents over the last decade. While schools in much of the state are short of students and are consolidating, and towns are aging as young people move away, Storm Lake has a housing shortage and the schools are bulging with children. The immigrants have infused Storm Lake with a surprising Hispanic feel, with Spanish-language downtown storefronts, including Mexican restaurants like La Juanita and Plaza Mexico. Going against the national trend: Storm Lake, like the state, went for President Trump in 2016. In the 2018 midterms, it re-elected Rep. Steve King, the anti-immigrant Republican congressman. But Jose Ibarra, a member of the city council, says Storm Lake's non-immigrant population is not hostile to the relative newcomers. Ibarra, sales manager of a local electronics store, moved here along with his family in 1999. Two years ago, after seeing that the city council had no immigrant members, he became the top vote-getter in the election. "We are in the middle of a very red area," Ibarra tells me, describing some anti-immigrant hostility in the more rural countryside. "But Storm Lake is different. We don't have any race issues." 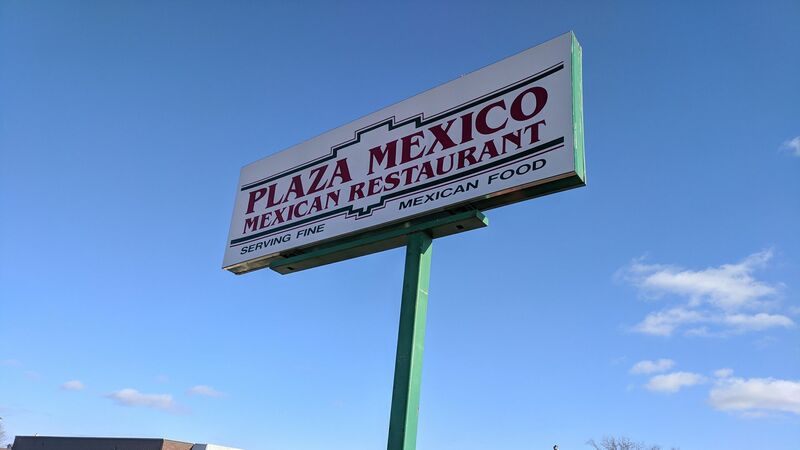 A tale of Jalisco: It turns out that the Arceo family tale may be less surprising than it seems at first: Talking in a booth at Plaza Mexico, Efreen tells me that Jalisco natives are notorious restaurateurs, running restaurants in Idaho, Florida, California, and more. He reckons they run some 1,000 Mexican restaurants across the country. Getting to Iowa: In 2000, the Arceos opened a Des Moines restaurant. Four years later, Efreen began looking for another location, and in Storm Lake he noticed a vacant McDonald's. He bought it for $140,000, figuring that, between the heavily immigrant meat packing workers and local Buena Vista University, there would be plenty of customers. It has turned out that way. And Efreen figures the town is better for the immigrants, too. While other parts of the state are moribund, Storm Lake "has more people and more business. It's good for the stores, for everybody."